If you’re not familiar with Isaak’s of Salem, don’t worry. Ian Bennett and his wife Brittany started up the micro-winery in October of ’09 and just offered their first bottles for sale this past December. 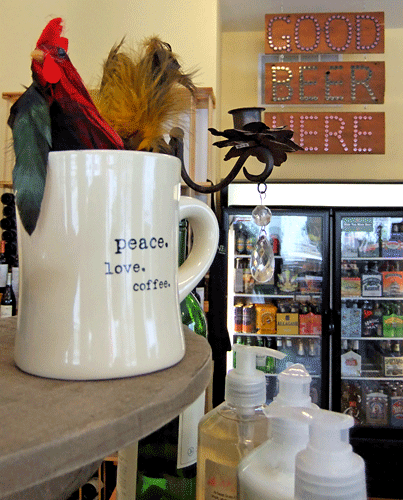 Isaak’s has several honey wines currently available through local purveyors. The Dry Honey Wine ($22) is a traditional dry mead with no extra honey added. It’s light, refreshing, and has a wonderful floral bouquet that immediately brings to mind the field of flowers the bees were pollinating. The surprise is that it’s not particularly sweet. It’s crisp and light like a pinot grigio and would pair well with most foods. The Sweet Tooth Honey Wine ($22) has a bit of honey added after fermentation and is steeped with bourbon vanilla beans. Again, this was drier than anticipated; it’s a bit sweeter than a Riesling but not cloying, with the vanilla mellowing the honey. The newest offering from the winery has been released just in time for Valentine’s day; Popp Road Raspberry ($27), named after the farm in Dresden, Maine that provided the raspberries to be steeped in the honey wine for three weeks. 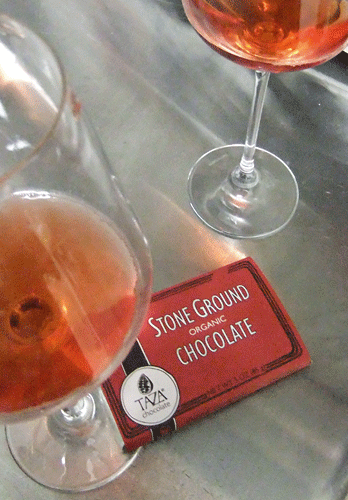 The result is a cheeky, fun, sweet/tart, blush-colored wine that pairs well with dark chocolate. We think this deal a great way to impress your date come Valentines day. 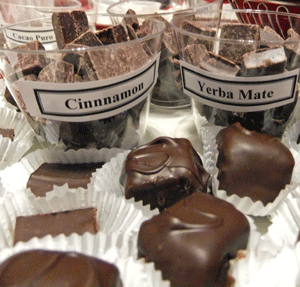 You’ll be savoring lush wine and chocolate and supporting a small local business to boot. If you’re curious about Popp Road Raspberry, Ian will be pouring samples at the Salem’s So Sweet 9th Annual Chocolate & Wine Tasting on February 4. 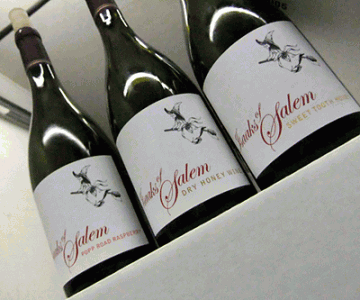 You can also grab a taste at Salem Wine Imports on February 11 from 5:00 to 7:00. 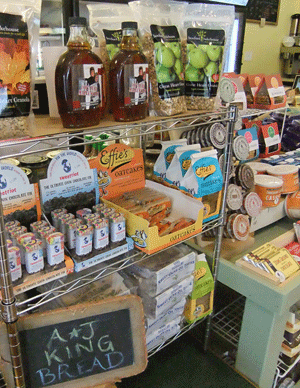 A full listing of who carries Isaak’s of Salem is on their website, and below you’ll find local vendors currently featuring the wine and chocolate deal. There was a serious party in our mouths last night as we sampled spicy Mexican hors d’oeuvres, Taza chocolate, and a variety of specialty beers. Another part of our bodies was stimulated, too—our brains. We had a great time at the Peabody Essex Museum where about 150 people gathered to learn about chocolate’s importance to the Mayan culture and why it was considered the food of the gods. The event, Beer + Chocolate = Food of the Gods, was held in conjunction with the museum’s Fiery Pool: The Maya and the Mythic Sea exhibit, which runs through July 18. 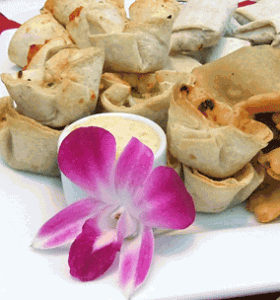 We sampled a variety of treats like flatbreads with cinnamon chile butter, mini beef burritos, vegetable empanadas, and chicken morditas with chipotle crème fraiche. While we sipped the various beers and enjoyed the food, we learned a great deal about Mayan chocolate culture from PEM assistant curator George Schwartz. For example, chocolate’s rarity and association with the maize god and the sea made it so valuable it was sometimes treated as currency. 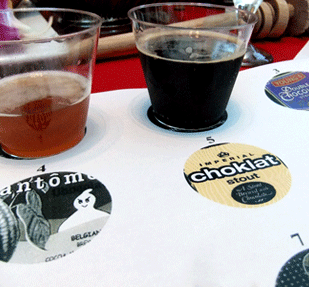 Seven chocolate-influenced beer samples were delivered during the presentation, with Schwartz describing each one’s origins. There were four chocolate stouts, an American stout, a craft brew from Dogfish Head designed to re-create one of the earliest chocolate beverages in the New World, and a saison that was a favorite with all—a rare beer crafted by Brasserie Fantome in Belgium. 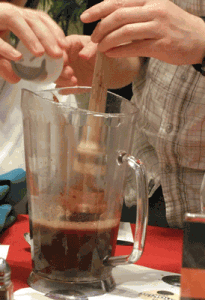 After the presentation, we had the chance to create our own chocolate beverages. Each table was given two plates of chocolate to combine with hot water in a large pitcher. We aerated the mixture using a molinillo (wooden whisk) and added our choice of ingredients like allspice, chili powder, vanilla, and honey. The resulting mixture was incredibly rich and full flavored—about as far from Swiss Miss packets as you can get. The chocolate froth created with a molinillo or by pouring from one ceramic pot to another evokes its original connection to the sea, in the form of foam. If you’re a chocolate lover, we highly recommend trying Taza chocolate, which is available at Whole Foods and gourmet markets like Shubie’s. We tasted plain, vanilla, cinnamon, chile, yerba mate, and salted almond (my favorite). We also tasted two unusual treats from North Shore chocolatier Turtle Alley: chile bark and a luscious chocolate stout truffle. We also recommend the PEM’s food-related events. Although not inexpensive, this unique event in the museum’s gorgeous atrium featured a satisfying abundance of beer, chocolate, Mexican treats, camaraderie, and intellectual stimulation.